Dedicated Motorsports | Get Dedicated. Be Dedicated. Stay Dedicated. Get Dedicated. Be Dedicated. Stay Dedicated. Hit ‘Em With That Good Stuff! With some help from Dr. Duane & Kooks Headers and Exhaust, this Vette is gonna be breathing MUCH easier now. — with Duane Biddle, Jimmy Mabry and Kooks Headers and Exhaust at Dedicated Motorsports. To Crank or Not to Crank? Duane is getting in the zone this morning. What better way to start the day than with a NOS Energy Drink and a fresh LS build. Drop us a picture of what you’re working on in the comments! Dark Knight meets it’s match! 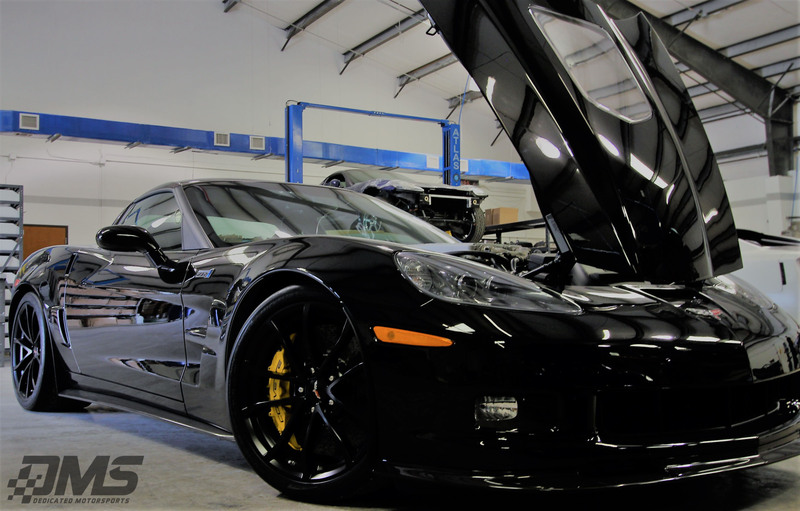 We’re breaking in our new dyno cell with a baseline on this pristine bone-stock ZR1. Good news is…it won’t be stock for long! Stay tuned for more updates on this one. — with Rob Ayres andMainline DynoLog Dynamometers at Dedicated Motorsports. We have these on the shelf, ready to ship today. Don’t loose your cool. Order yours now!. We may have been quiet lately…but that doesn’t mean we haven’t been busy building some nasty street cars! 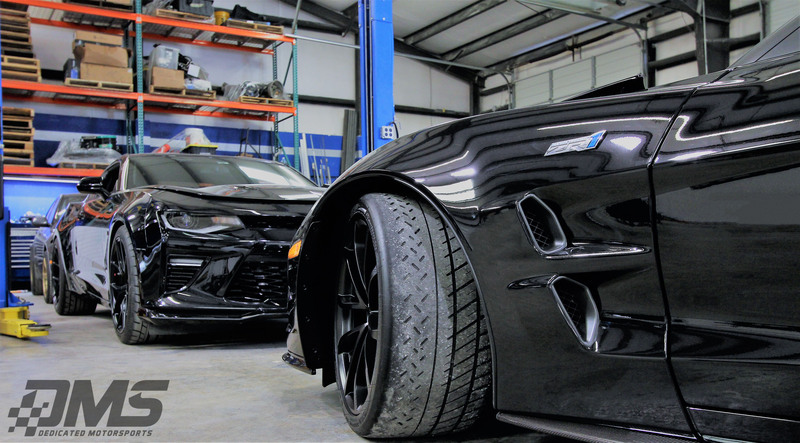 You’re looking at a 1,500hp+ combined effort of General Motors finest! One of our customers in Tennessee is gettin’ reeeeal Dedicated. Check out this pic he sent us. Looks like that IS is about to gain a few cylinders and a whole lot more muscle! The C5 Z06 being one of those. After 15 years, it’s still a thing of beauty. 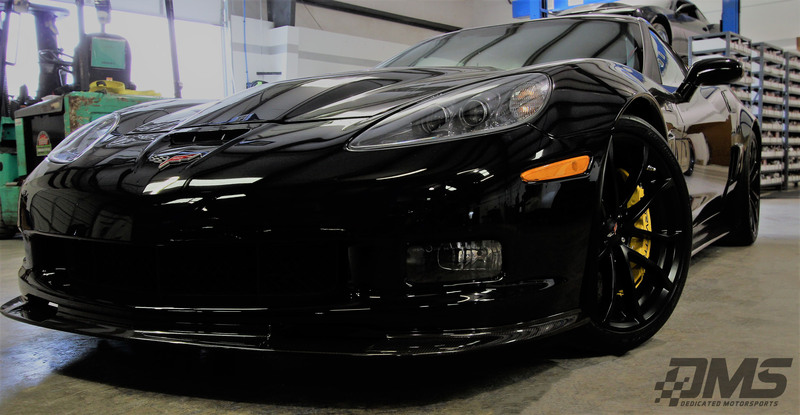 Duane is Staying Dedicated and starting the morning off right with a Brian Tooley Racing cam & spring swap on this Z06. ‘Bout to wake this beast up! Jorge‘s CTS-V is getting some serious upgrades with Duane‘s help this morning, including the supremely efficient Dedicated Motorsports Heat Exchanger. Bring on the BIG boost!